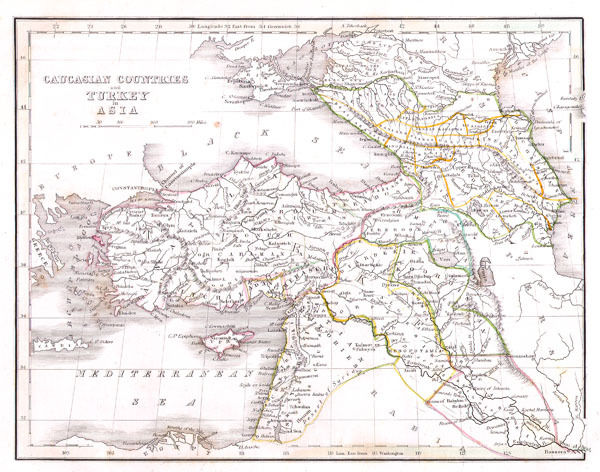 This unusual map depicts the Asian portions of Turkey, the Black Sea, the Caucuses (Georgia, Azerbaijan, and Armenia), and what is today Israel/Palestine, Jordan, Syria, Lebanon, and Iraq. Fine or perfect condition. Good margins. Blank on verso.